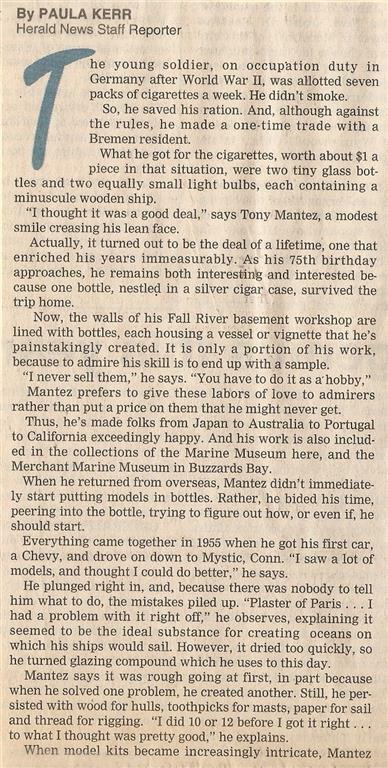 Antone "Tony" Mantez, of Fall River, Massachusetts, is 89 years old and he has been putting things inside bottles for 50+ years. 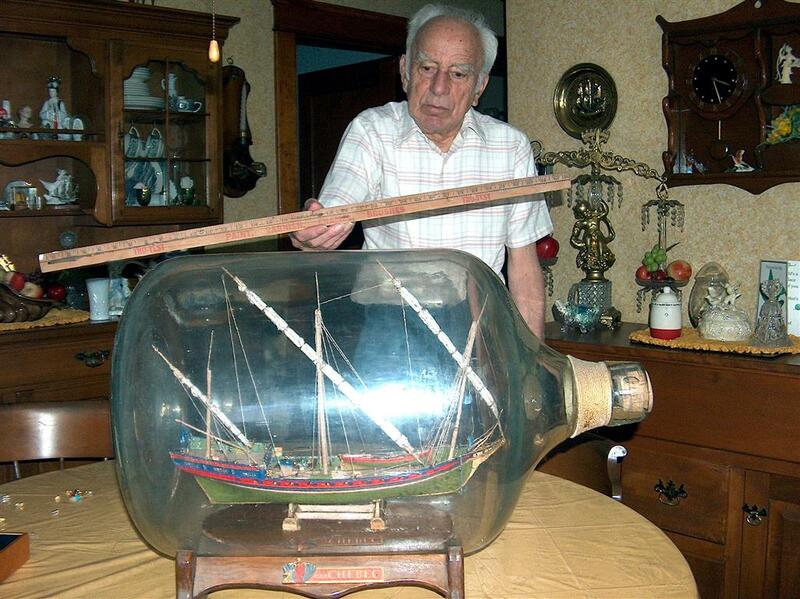 He became fascinated with this craft while serving overseas during World War 2. In 1955 began building his first models. His works are included in the Marine Museum in Fall River and the Merchant Marine Museum in Buzzards Bay. He has built everything from tall ships to destroyers, tuna boats, tugs, paddle wheelers, to ocean liners. He has also made bottles with military scenes, villages, airplanes, cars, trains, sports figures, and a fully furnished living room. 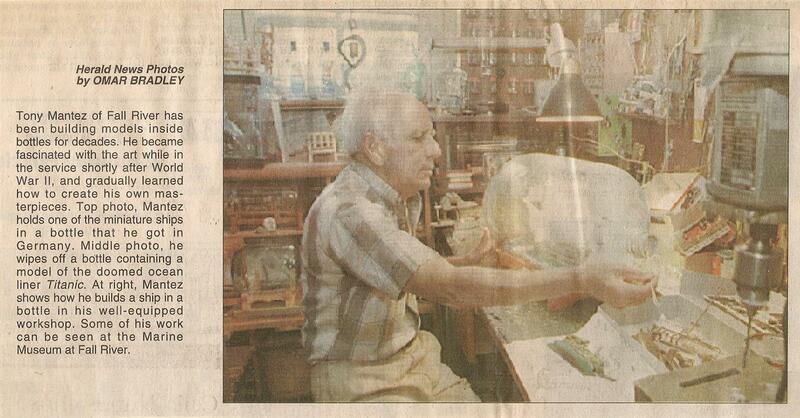 He often includes such items as stamps, newspaper clippings, flower seeds, shells and photos in his bottles. He calls them his time capsules. "Someday somebody's is going to be in for a surprise...it will keep someone guessing, wondering what I was up to" he says. 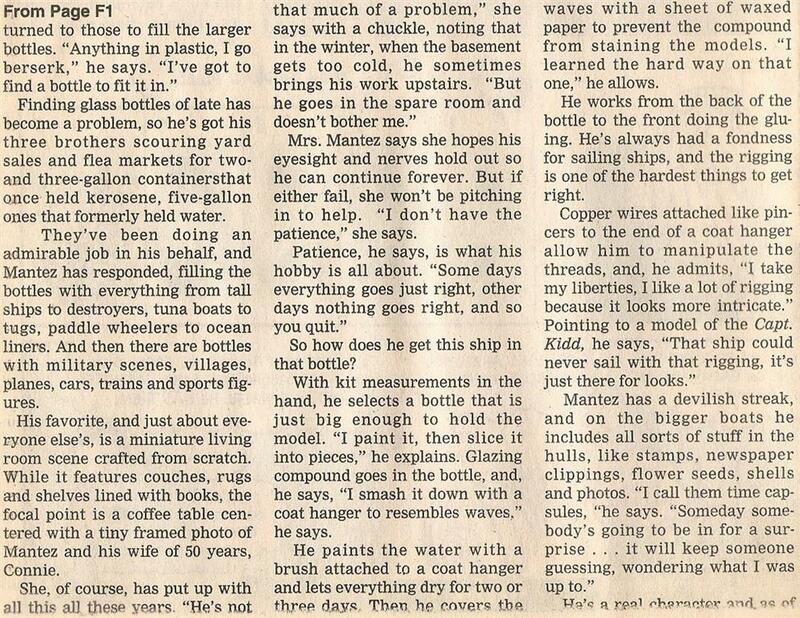 The following article about him and his hobby appeared in the Fall River, Massachusetts newspaper, the Herald, when he was 75.